I attended a large kids consignment sale here in Denver, I go twice a year and is one of the main ways that I save money through out the year. I find amazing used name brand clothing/toys and games. 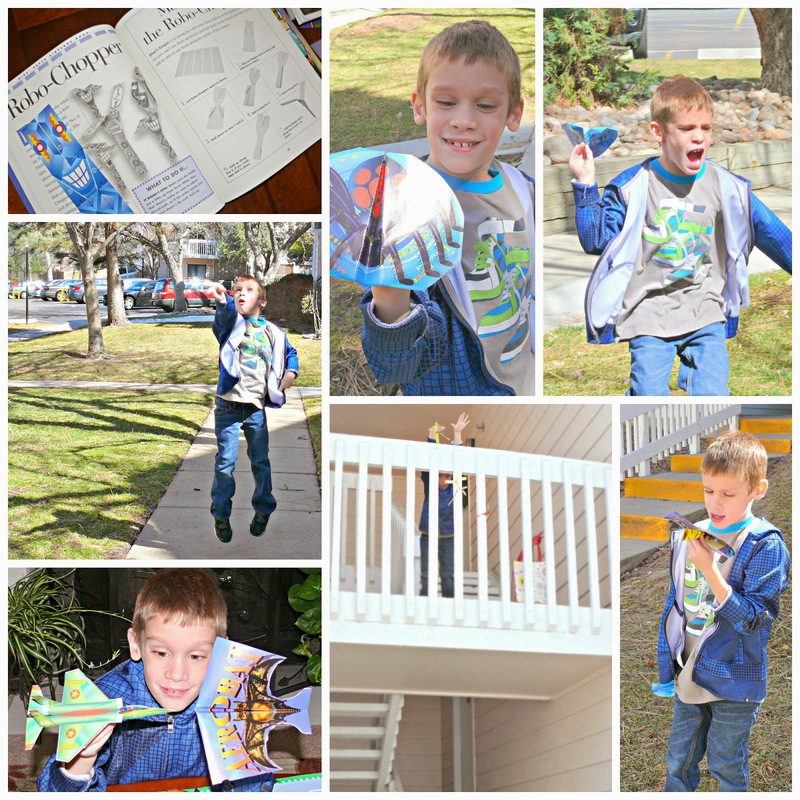 This year we found a really cool book that had cut out paper airplanes, this was one of the things we did for Spring Break. Caleb loved it!